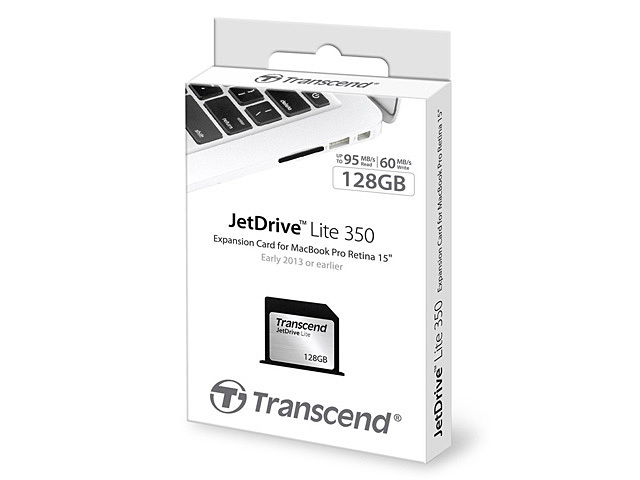 Transcend JetDrive Lite 350 Expansion Card gives you the chance to instantly boost the total available capacity of your MacBook Pro system without the need to upgrade to a larger capacity SSD. 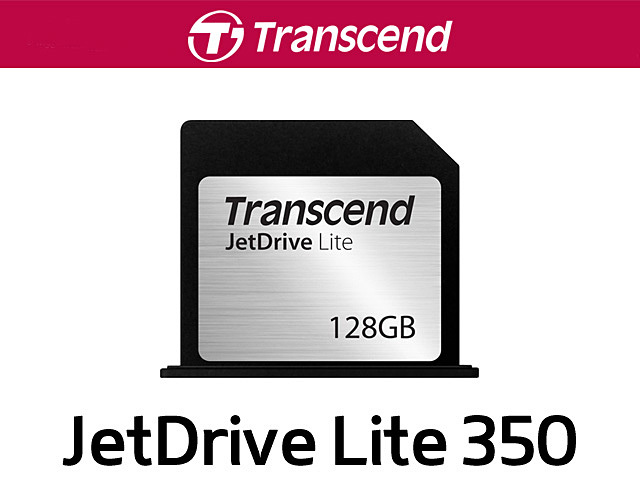 With their substantial amount of storage space, Transcend JetDrive Lite 350 expansion cards provide plenty of space for professional-quality photos and videos as well as a large music collection. 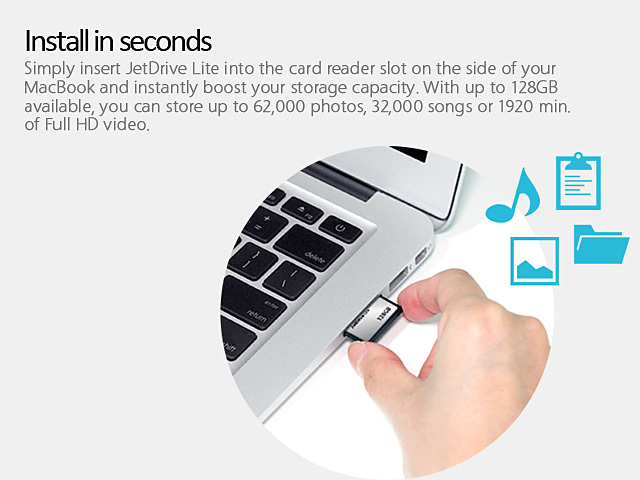 Each 64GB card for instance, can store over 31,000 high-resolution photos, 16,000 mp3 songs, 16 hours of Full HD quality video, or seemingly limitless number of documents. 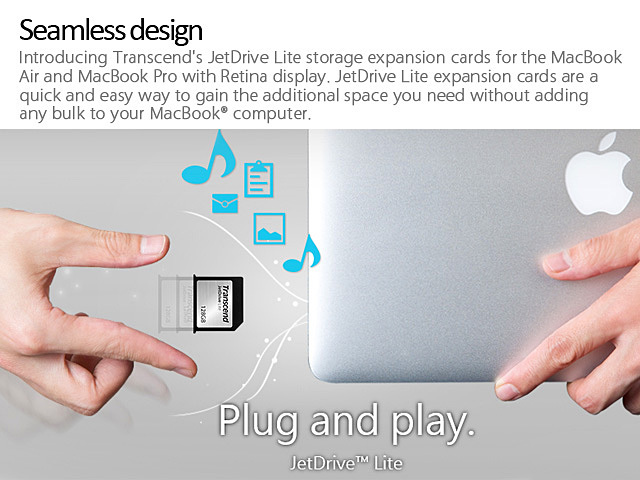 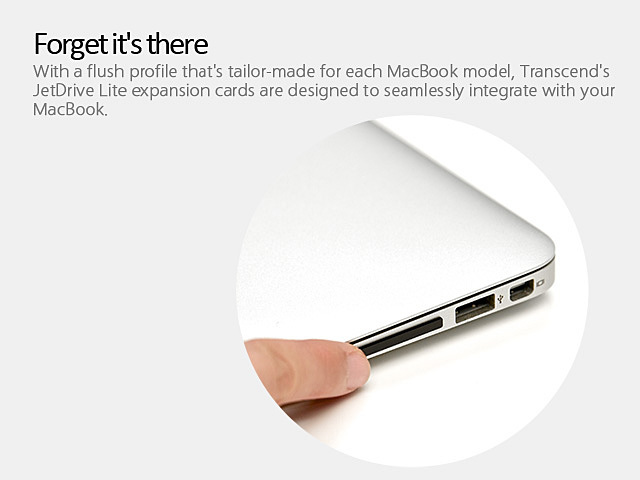 When inserted into the SD card slot of a MacBook Pro 15" Retina Display Early 2013 or earlier, the low-profile JetDrive Lite 350 won't stick out like a normal SD card and can even be left in place for on the go storage. 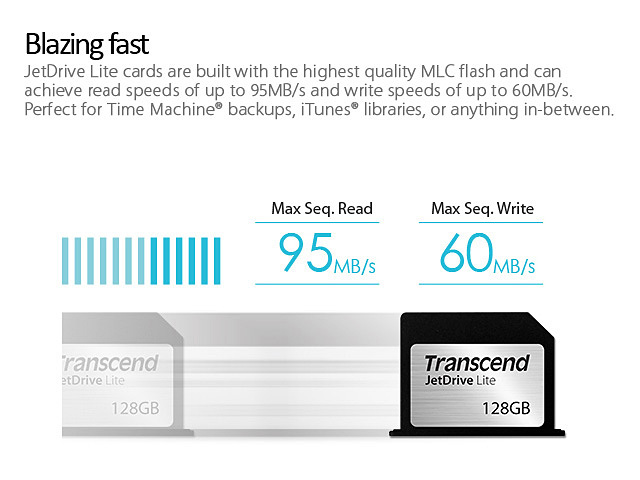 What's more, the JetDrive Lite 350 makes fast and efficient file transfer possible with incredible transfer speeds of up to 95MB/s read and 60MB/s write. 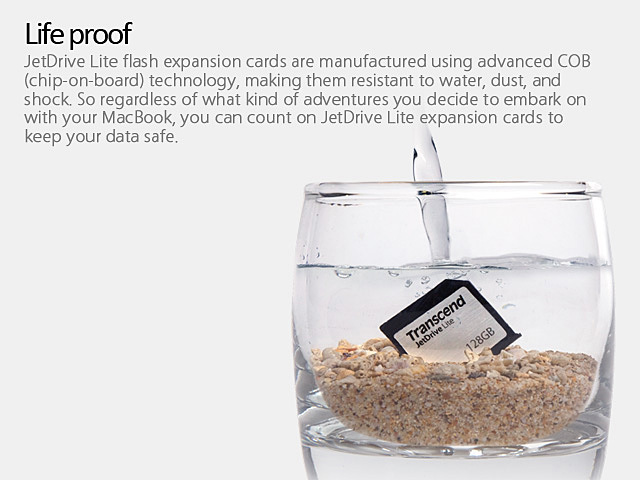 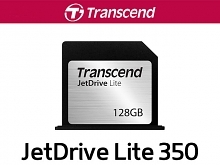 Transcend JetDrive Lite 350 expansion cards are equipped with built-in ECC, which monitors the data that gets transferred in and out of memory and automatically corrects potential transfer errors, and also utilize a sophisticated wear-leveling algorithm for consistent long-life operation.